The search for possible beach resorts for company outing in Pangasinan yielded a long list of Pangasinan Beach Resorts for Tutubi and his officemates to choose from. 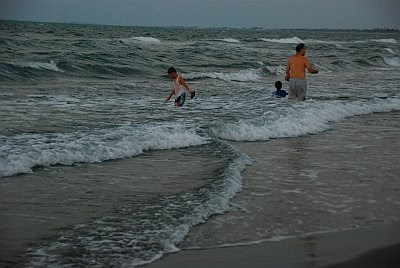 The beaches of Pangasinan are located on the Lingayen Gulf or facing the South China Sea. Herewith is the list of beach resorts in Pangasinan for your information. No information on the cheapest rates and accommodations. Please visit the official websites or contact the published telephone numbers for information and inquiries. Some information sourced from Wikimapia. Lingayen Beach Resorts - historic landing site of Gen. Douglas MacArthur during World War II and cut by the Limahong Channel. Anda Beach Resorts on Tondol Beach in Anda Pangasinan, about two hours away from Dagupan City. Siapar Island is also part of Anda town. White Beach Resort "Dutch Beach Resort"
Should you have additional information, correction or updates to this list, please feel free to leave comments. hi there, just want to ask for contact person at Bolo Beach in Alaminos Pangasinan, thanks! abagatanen white beach the best place ,tranquil ,clean and friendly local. contact details po for abagatanen. Please send it at mariejoycedeguzman@yahoo.com your respose is very much appreciated. Also, any other advise kung san pa maganda mag stay sa pangasinan? yung may white sand beach po. Thank U! In Bolinao this private initiative is worth the stay: a penthouse for rent, with view to Bolinao Bay. There's a lots of good beach resort in here. Great! to.. MARIEJOYCEDEGUZMAN.. abagatanen white beach found in rena point.. north west of agno pangasinan.. about 8 km away from agno town proper.. the place well known as clear water and its friendly inhabintant... WHEN REACH AGNO TOWN. just ask info about BARRIO ABAGATANEN.. or mentioned the big white house (landmark) in abagatanen. Try Carolet Inn, Anda Pangasinan, located at the town proper (Luna St). Rooms fully airconditioned with own bathrooms. hellow 'if u want to visit Patar white beach just contact us at this # '09393810298' our nipa house worth 2,000 & if u want to rent a videoke it's worth only 500 !Cgurado po mag-eenjoy Kayo sa beach nmen .tnx. a lot !! hi! I'm looking for a beach resort that is affordable and a lovely place for my wedding. I would like somewhere Pangasinan or La Union. I hope you could help me to find one.